Dave's Guns – the best products at the best prices! The batteries are two, 3-volt lithium cells with a shelf life of nearly ten years and last about one hour of continuous use. 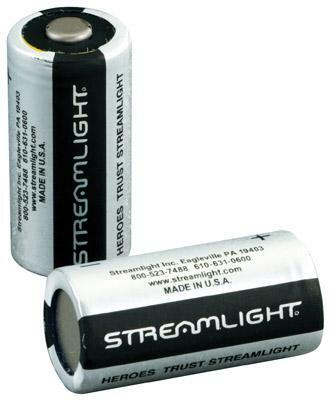 More specifically, the batteries typically have 1.75 hours of maximum brightness run time at regulated maximum intensity and an additional two hours of declining usable output when used in the Streamlight Scorpion LED flashlight.